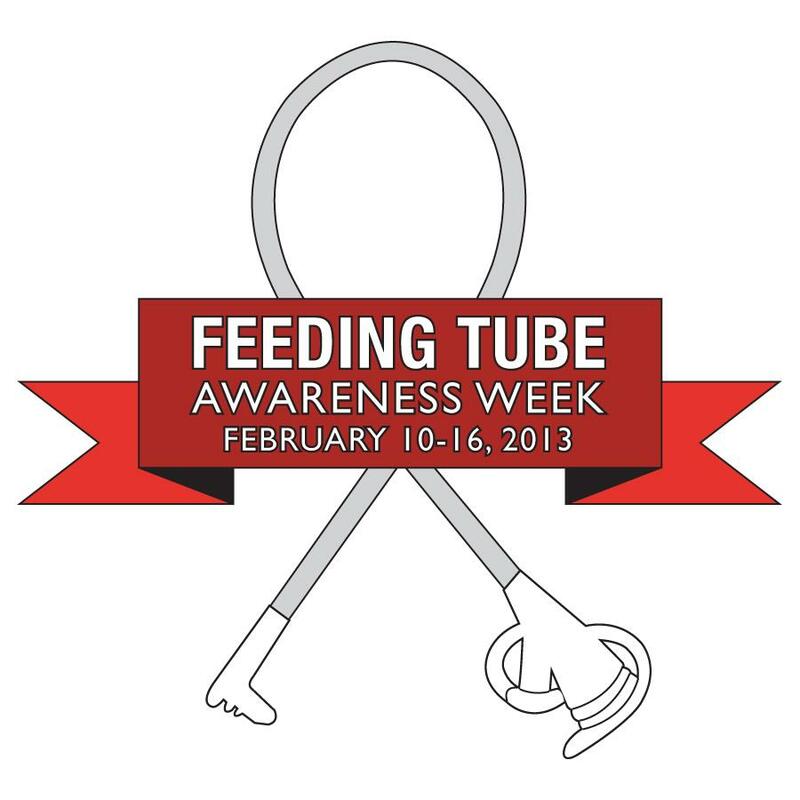 Feeding Tube Awareness Week was first launched in February 2011 By the Feeding Tube Awareness Foundation. Each year the week focuses on a few topic areas designed to give parents, caregivers and tube feeders the opportunity to share their experiences with tube feeding with friends and family through social networking sites, blogs, viral and traditional media. Increasingly, parents and siblings have been using Awareness Week to give presentations in their children’s classrooms. 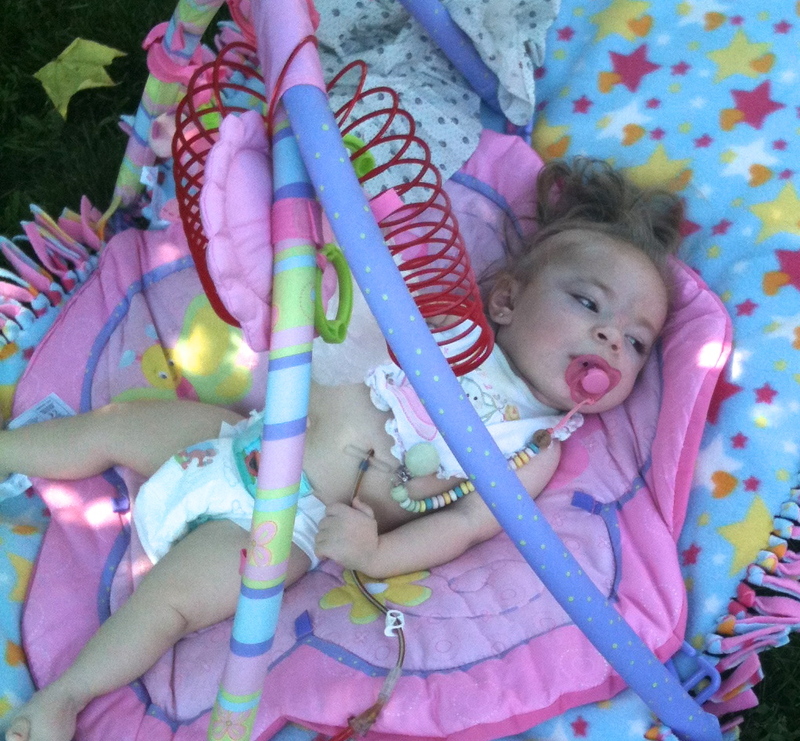 Long before the CDG diagnosis came to light, Ladybug was diagnosed with failure to thrive. Failure to thrive (FTT) is a term given to infants and children who do not meet the growth rate that his or her peers meet. Yes, it is a bit of a generic description but one that we dealt with for quite a while. Basically Ladybug was showing signs of severe reflux or GERD(Gastroesophageal Reflux Disease), and was refusing to eat anything. 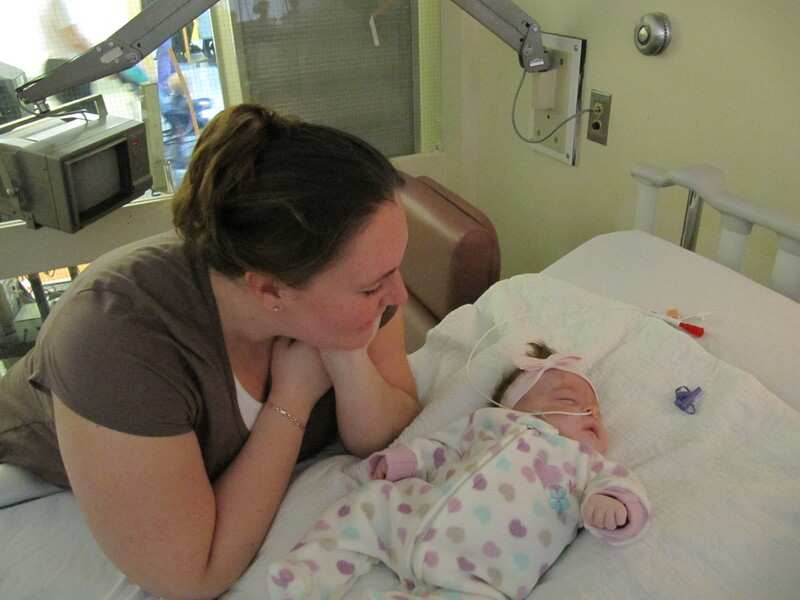 It was at 1.5 months that Ladybugs first feeding tube was put in. The lovely NG Tube (Naso Gastric) This tube runs directly from the nose to the stomach. What started as a quick fix to help her gain some weight became an everyday part of our lives. The NG tube truly was a lifesaver for Ladybug, and for the first few months she didn’t bother with it. That is until she learned it only took a split second to pull it out. It didn’t matter how we taped it, what type of tape we used, or even how much tape we used, those teeny tiny fingers always managed to pull that tube out. After numerous trips to the ER to have the tube put back in, we began to discuss with the doctors about a G-Tube. The G-Tube (Gastric Tube) is surgically placed into the stomach. Seeing as Ladybug still wasn’t eating orally and was beginning to throw up often it was the obvious next step. The G-Tube was inserted in October 2010. Ironically this occurred the same month she had a GI bleed, bowel resection, port insertion and the CDG diagnosis. October 2010 was a very emotional month to say the least. Even though Ladybug is slowly starting to try food orally, sippy cup with water, Breton Crackers, squash and chocolate, the G-Tube is her sole source of nutrition. Thanks to the G-Tube and an amazing dietician, she is also steadily gaining weight according to her very own growth curve. The other great thing about Ladybug being a “Tubie” is that her best friend has one as well. “Bean” the other Diva of 3C at Mac Kids is always excited to see Ladybug and compare their identical feeding tube clamps. Another tubie mom couldn’t have said it better when she posted that she would rather questions about our kiddies tubes than stares. I truly LOVE when little kids look at Ladybugs feeding tube attached to a little backpack inquisitively. I can only imagine what their honest minds are thinking. I always give them a smile if only to let them know it’s ok to be curious. The teacher in me can’t wait for a chance to explain what it is not only to the kids but also the parents. If I can pass on anything it’s for adults to remember the inquisitive little child within. Don’t ever be afraid to ask questions – the majority of people are more than happy to answer them. My Evan, CDG 1a, has had the NG tube during rough periods in his life. Great article. God bless! Thank you Tara. 🙂 Hugs to you, Evan, and your family.